Over on 12 Months in View we are starting a new month of challenges beginning with an introductory page for July. 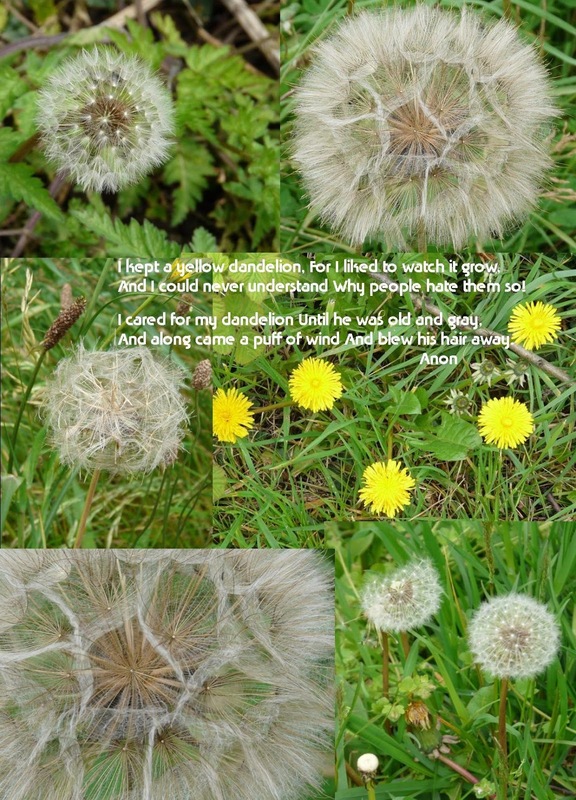 The flower of the month is the dandelion and last year I seemed to take a lot of photos of dandelions so for this page I decided to collage them together using Publisher and then to put a quote on the top before printing it out. The problem with using something like Publisher rather than Photoshop is that you can't 'tear' and layer so it all looks a bit rectangular. However I like how the yellow pops out of the green and grey. I love dandelions (as you can tell from the scavenger hunt badge).